In application, EPF (Electrical Power Feedthrough) is transmitting high voltage or high current from atmosphere into vacuum chamber. 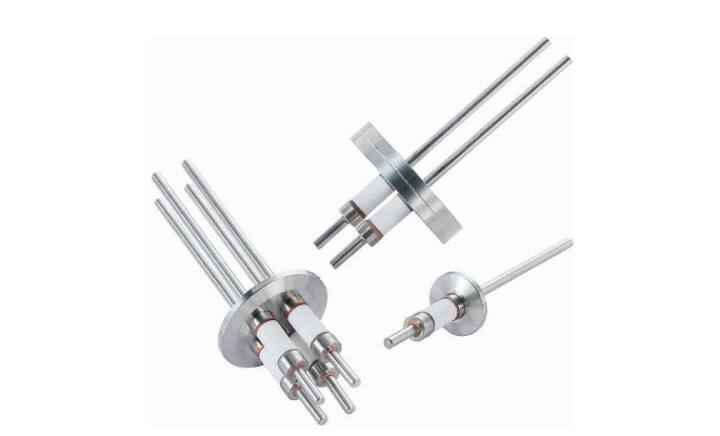 EPF is the key component for subtract heating device, E-beam evaporator or other devices which need high voltage and current. The sealing technology is bonding the ceramic based material and metal alloy. Ceramic is excellent insulation material applied in vacuum electrical power feedthrough.